All our professionals at Barber Podiatry maintain the highest levels of accreditation and pursue ongoing education to stay abreast of the latest trends in podiatry. Dr. Mitchell Barber has been in practice for over 13 years. He grew up in Maryland, attending Winston Churchill High School locally and then Brandeis University, outside of Boston, where he was Pre-Med and majored in Psychology. Dr. Barber made Dean’s list as an undergrad and then decided to pursue Podiatry at PCPM (Pennsylvania College of Podiatric Medicine, now part of Temple University), earning his degree in Podiatric Medicine. Dr. Barber then completed a two-year Residency in Podiatry and Foot Surgery at Bon Secours Hospital in Baltimore. Dr. Barber was lucky to meet his wife Stephanie, soon after, who was an Elementary School teacher and then worked full time in the office for 3 years. Together they have two children. Dr. Barber enjoys swimming, golfing, movies and traveling with his family. Dr. Michael Smith has experience with the most up to date and innovative treatments in podiatry. 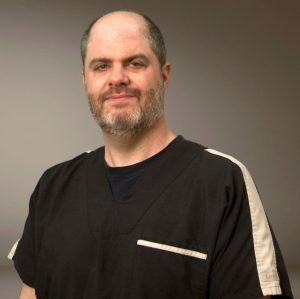 Through his clinical, surgical, and continuing medical education experiences, he manages to keep abreast of the continually evolving practices and techniques in modern medicine. He specializes in foot surgery, reconstructive foot surgery, diabetic foot education and limb salvage/wound care, and sports medicine. Dr. Smith, a native of Baltimore, Maryland, graduated from Baltimore City College High School in Baltimore City in 1994. After which, he attended Howard University in 1998 majoring in Biology. Following college, Dr. Smith attended the Ohio College of Podiatric Medicine (now known as Kent State University School of Podiatric Medicine), in Cleveland Ohio where he graduated in 2005. Three years later in 2008, he completed his surgical residency at MedStar Washington Hospital Center; the only level 1 trauma center, in Washington DC. During his 3 year residency where he served as chief resident, he gained extensive training in foot and ankle surgery, diabetic limb salvage, trauma surgery, elective forefoot and rearfoot reconstruction, sports medicine, management of extensive medical pathologies. He also rotated at Georgetown University Limb Salvage Center, Union Memorial Foot and Ankle Orthopedics, Children’s National Medical Center, and Roy Lester Schneider Hospital in the Virgin Islands, performing podiatric and general surgery. Dr. Smith has been in practice since 2005 and in 2013 became Board Certified by the American Board of Podiatric Surgery. 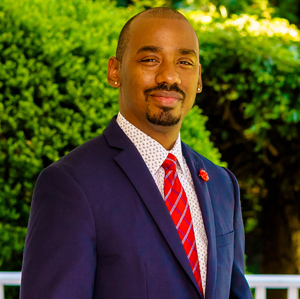 Dr. Smith is very active in the community, even serving as chairman of the board for a local Baltimore city non-profit dedicated to bettering the future of the inner city youth. He has lectured at numerous health fairs, foot screenings, and seminars. He has over a decade of practical experience in foot care. Dr. Smith was also noted in Baltimore Magazine’s 2013 “Top Docs” edition for Podiatry. Dr . Michael Smith has a motto to treat each patient like he would his family member or loved one. He is a passionate and dedicated physician and surgeon who believes in individualized patient treatment and comprehensive care. He enjoys spending time with his wife and children, family and friends as well as traveling, sports, movies, music, and dining. Sherrie Steen is the Front Desk Receptionist with Barber Podiatry. 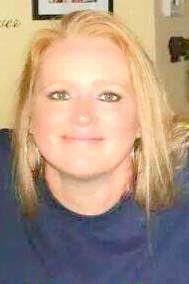 Sherrie is a qualified administrative assistant with close to twenty years and counting in the medical field. Before joining Barber Podiatry in 2014, Sherrie worked for a diverse range of organizations, including a Cardiovascular/Thoracic surgeon, Neurology and Orthopedic surgeons. Her current role at Barber Podiatry is to ensure the day to day operations run smoothly and efficiently for Dr. Barber, his staff and patients. In her spare time, Sherrie is an avid sports fan. She has two children and loves her dogs. She enjoys spending time with her family, doing crafts, and cooking. Laura Smith is a Medical Assistant at Barber Podiatry. Laura is responsible for both administrative and clinical aspects of the practice. In this role Laura is responsible for triaging patients into a room, updating patient health information, taking vitals, performing X-rays, preparing for diagnostic ultrasound, scanning and dispensing Custom Molded Orthotics, drawing injections, assisting the Doctors chair-side with minor procedures, as well as other tasks on a day to day basis. Prior to working with Barber Podiatry, Laura is a former Army Medical specialist and has worked in the medical field for last 29 years. Laura enjoys watching Raven’s football and Orioles baseball. Jeritza Machado is a Medical Assistant at Barber Podiatry. Jeritza is responsible for both administrative and clinical aspects of the practice. In this role Jeritza is responsible for triaging patients into a room, updating patient health information, taking vitals, performing X-rays, preparing for ultrasound, scanning and dispensing of Custom Molded Orthotics, drawing injections, assisting the Doctors chair-side with minor procedures, as well as other tasks on a day to day basis. Jeritza is a Registered Medical Assistant. In her spare time, Jeritza loves to spend time with her family and enjoy delicious food!